This breed has a keen sense of direction and can move with lightning speed. Lively, alert dogs with a quiet confidence. May be reserved or suspicious around strangers. 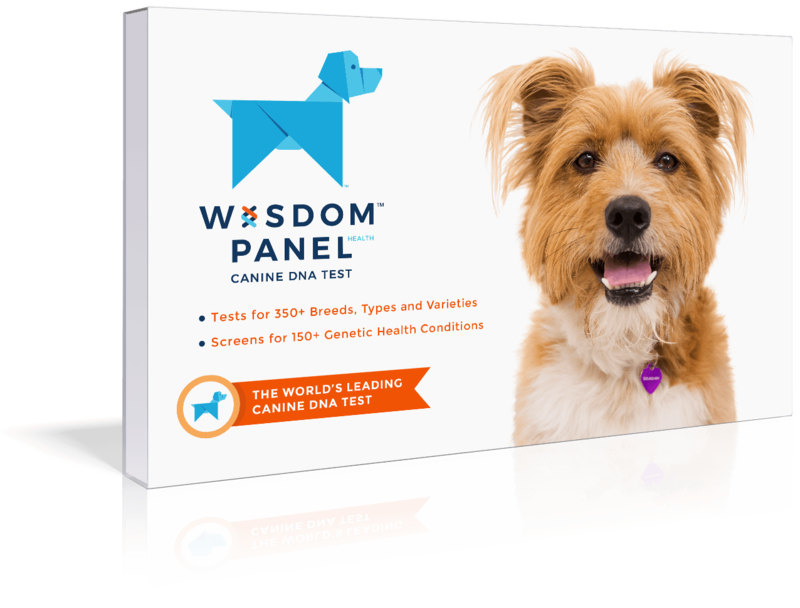 Intelligent, active, energetic, and watchful dogs. Loyal, devoted and protective companion with an eagerness to please their owner. 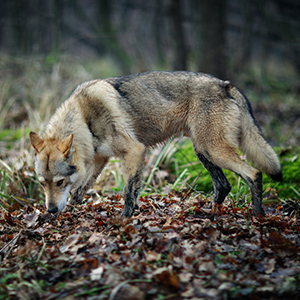 The history of this breed while relatively new, has the makings of a fairy tale story set in a deep wood. 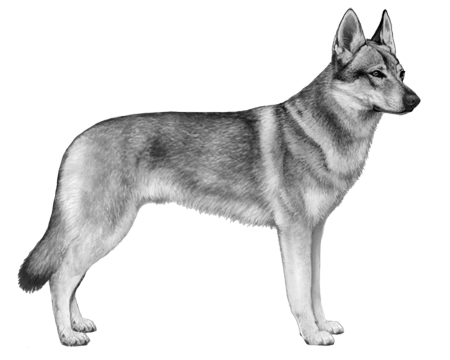 In a 1955 biological experiment a German Shepherd dog was bred with a Carpathian Wolf leading to the breed known today as the Czechoslovakian Wolfdog. 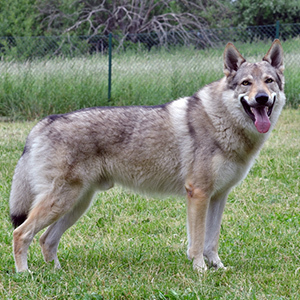 The unique pairing established that the offspring of wolf and domestic dog could be reared as a domestic breed. 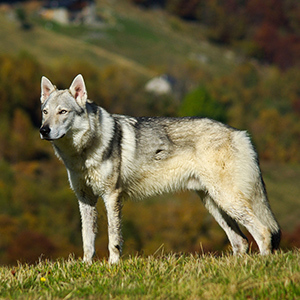 An experimental phase of 10 years passed before the establishment of wolf and dog qualities to select for were fully established and it wasn’t until 1982 that the breed was recognized as the national breed of the Czech Republic and Slovakia. 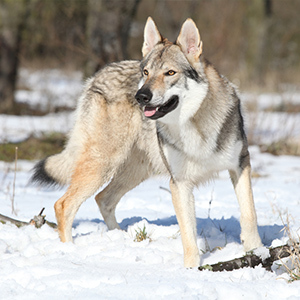 The Czechoslovakian Wolfdog is strong and tall in appearance, but light and agile with a short, straight and dense coat that make them especially resistant to adverse weather conditions. They are typically a yellow-grey to silver-grey in the body with a lighter colored mask and amber-colored eyes that will size you up confidently. 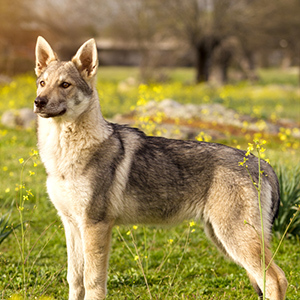 This breed has a keen sense of direction and can move with lightning speed—no doubt a factor of its heritage—for long distances. Lively, very active and capable of endurance these dogs are known for their courage. They can be suspicious of strangers and yet extremely loyal to their master.